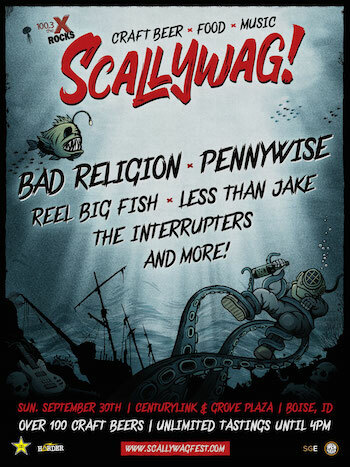 Synergy Global Entertainment (SGE) and Brew Ha Ha Productions are pleased to announce the expansion of the acclaimed Scallywag! 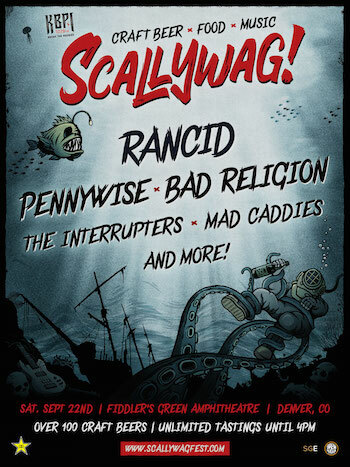 Craft Beer, Food & Music Festival to include additional dates in Denver, Austin, Auburn, and Boiseduring September of 2018. 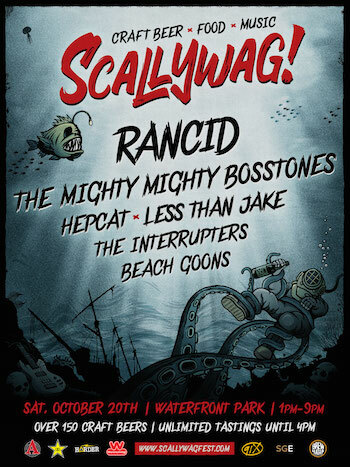 The festival will also return to Waterfront Park in San Diego, CA on Saturday, October 20 for the third year of 91X Presents Scallywag!. 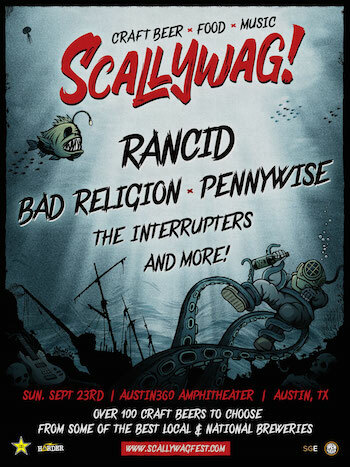 Each date will feature a music lineup of top punk rock and ska artists, with bands including Rancid, Bad Religion, Pennywise, The Mighty Mighty Bosstones, Hepcat, Less Than Jake, Reel Big Fish, The Interrupters, Mad Caddies, and more performing on select dates. Note: Lineup varies by market. 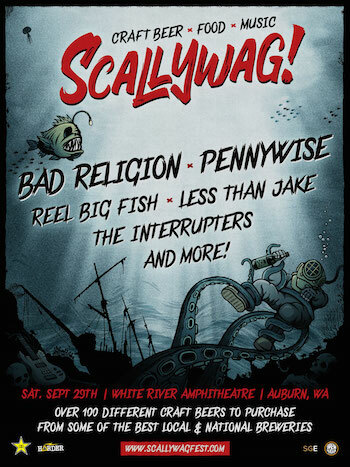 Produced by premier music festival production company Synergy Global Entertainment (SGE) and California’s most successful and respected craft beer festival producer Brew Ha Ha Productions, most dates of Scallywag! will also feature craft beer tastings (until 4:00 PM) or craft beer for purchase from some of the best breweries in the country. Craft beer tastings options will vary by city according to local alcohol laws and restrictions. In markets featuring craft beer tastings, craft beer lovers who are 21+ can sample over 100 craft beers from the finest breweries in the nation until 4:00 PM. Some markets will offer various craft beers for purchase. Craft beer selections will include tons of local favorites, with an initial list of well-known breweries including: Avery Brewing, Stone Brewing, Wild Barrel, Funkwerks, Burgeon Beer Co., Thr3e Punks Ales, Artifex Brewing, Pure Project and more! Note: Brewery list varies by market. ← Surf City Blitz Debuts October 27!